Engine sizes are from 7.7 litre to 12.8 litre and power ranges from 238hp all the way to 510hp if required. 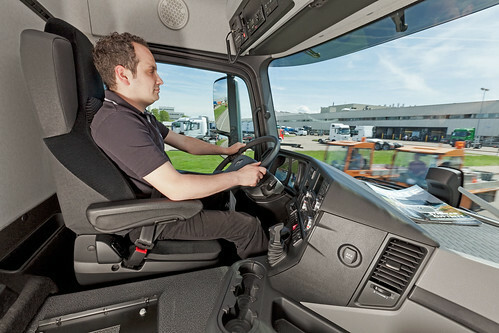 One of the most impressive claims of the Antos is that, supposedly you can buy a 40 ton tractor unit with a Euro VI, 428hp engine that weighs in at approx 6,400kg. If you go for the Antos Loader you can achieve an unladen weight of less than 6,000kg. You have to admit that’s pretty impressive. Would the drive axle weights be up to it?? 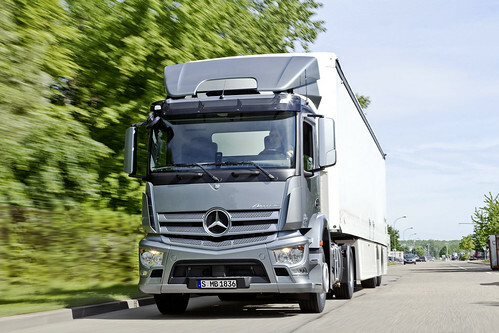 My only thought with such a huge range of variants, will the Antos not contradict the Actros range? I’m sure there’s some one at Mercedes Benz who can explain the differences between the 2 ranges other than the cab type availability. I look forward to the new Construction range which I think will be next year and then the new Atego after that. This entry was posted in Mercedes Benz, NEWS, SCOOP!! by truckbloguk. Bookmark the permalink. 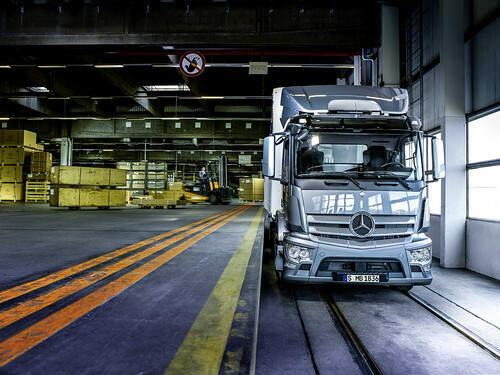 This new truck will bring new era of transportation with better features and loading capacity techniques so as to reduce the transportation cost.